We are UK’s leading biscuits supplier, supplying over 3500 clients inside London and loads of other clients around UK with biscuits. 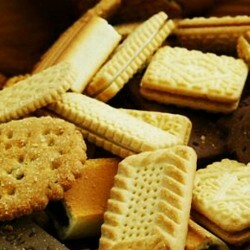 We supply biscuits to wide range of facilities including shops, hotels, restaurants, cafes and many other facilities. We have wide range of wholesale biscuits products ready to be delivered to you. Oreo Chocolate Sandwich Biscuit Snack Pack 20 x 66gChocolate flavour sandwich biscuits wit.. Imported from Austria, these great wafers are available in chocolate, hazelnut and vanilla flavours ..
Walkers Chocolate Chip Shortbread 20 x 40gTwo rounds of our light, crumbly shortbread packed f..
Walkers Pure Butter Shortbread Fingers 24 x 40g Walkers Shortbread Fingers (ingredients..
Walkers Shortbread Rounds 22 x 40gProduct Information24 individually wrapped rounds of cri.. Copyright © 2015, Simply Heavenly Foods ltd, All Rights Reserved.